Real-life doctor turned actor to star in multi-camera medical comedy. Dr. Ken is a go. Looks like we could be seeing a few more Asian American faces on television in the near future. 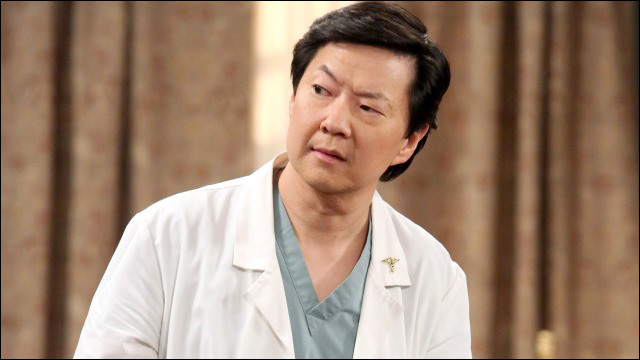 ABC has officially greenlit the pilot for the medical comedy Dr. Ken starring Ken Jeong. Jeong -- a real-life physician turned actor -- will star, write and co-executive produce the multi-camera comedy. He'll play a frustrated doctor juggling his career, marriage and parenting, "but succeeding at none of them." Written by Jared Stern (The Internship), Mike O’Connell and Jeong, who is a licensed physician and worked as an internist before quitting to pursue comedy, Dr. Ken stars Jeong as a frustrated HMO doctor juggling medicine, marriage and parenting, and succeeding at none of them. Stern executive produces with Mike Sikowitz, who serves as showrunner, and Davis Entertainment’s John David and John Fox. O’Connell and Jeong co-executive produce. Ken Jeong actually has another comedy pilot in the works, Ken Jeong Made Me Do It, in which he'll play a version of himself. The pilot is reportedly still in contention at MTV. So who knows what'll happen? Maybe it's too early to say this, but could this be a part of the Fresh Off The Boat effect? If so, I'll take it.